Recently, we ran a little experiment in Draper Spark!Lab. We opened the Spark!Lab doors on a Tuesday (when we are typically closed), but visitors didn’t walk into a typical Spark!Lab scene. 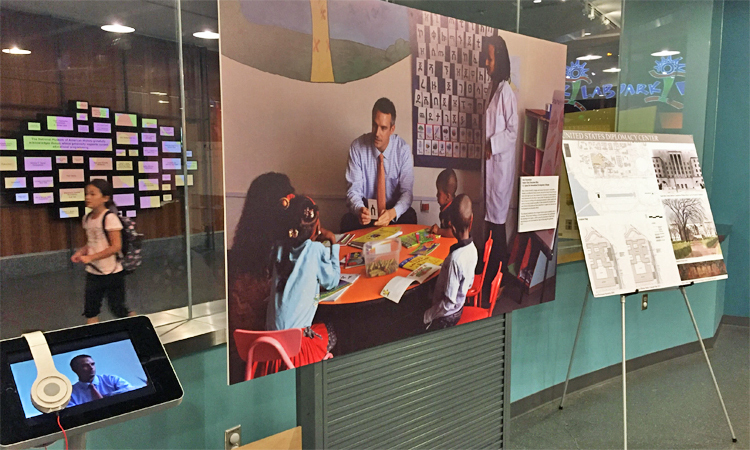 Instead, they entered a pop-up exhibition presented by the US Diplomacy Center from the State Department. Faces of Diplomacy shares the unique and fascinating stories of diplomats around the world. 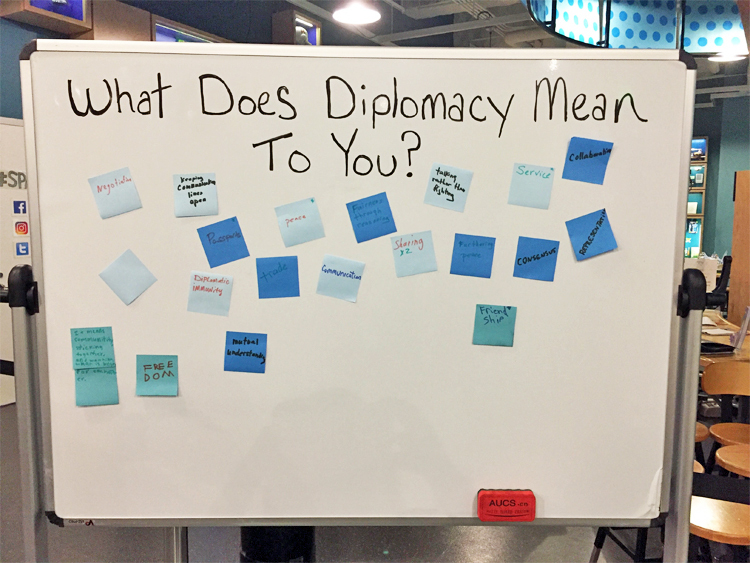 The staff from the Diplomacy Center spent several hours encouraging visitors to come into the temporary exhibition space, take a look around, listen to stories on iPad kiosks, and contribute to an ongoing dialog about what diplomacy is and how it is relevant to their lives. Over 300 people joined in the experiment and gave their feedback and opinion through an exit survey. 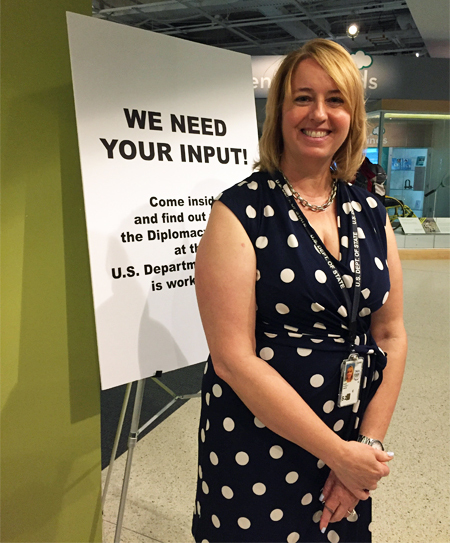 According to Olive Sampson, the Acting Director of the US Diplomacy Center, “Visitors reported the exhibit increased their knowledge of US diplomacy and its relevance to their own lives. They also related to the diplomats portrayed and said their identification with diplomats increased. Additionally nearly 88% of the public surveyed said they would like to visit the USDC when it opens. 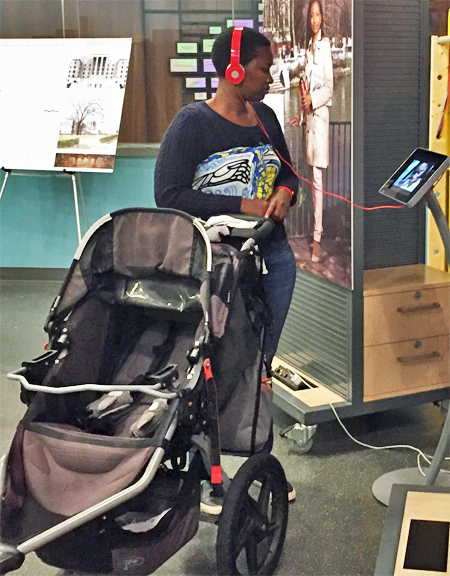 We are committed to using visitor testing and feedback in developing our other future exhibits." I was so pleased that our space could be used by our museum-field colleagues to continue to learn more about how the work we do makes a difference in and impacts the lives of our visitors. Spark!Lab is a truly flexible learning space, and the staff here are constantly tweaking and adapting our exhibition to best fit our visitors’ needs. This is how we live our mission to engage in the invention process and to bring that philosophy into our practice. It is exciting to share this mindset with others and invite them to actively include prototyping into their process. From what we see in Spark!Lab, and what the Lemelson Center has learned from inventors through our research, building prototyping and user-testing into any development or invention process creates space for learning and reflection before making any permanent decisions. Taking the time to see if your idea is headed in the right direction, or to address small failures early, can save you from big flops in the end. At the bottom of this page, you can check out some of my favorite blog posts from Lemelson Center staff about how inventors prototype—and how we put that into practice in the Spark!Lab activity development process.